Alpine PT is always looking to progress our great services to the community through keeping an eye on research, trends and new treatment methods. Here are a few tidbits to contemplate while you’re enjoying central Oregon’s activities or your favorite local craft beverage. Heck, it may even be even ours. Today, we’re discussing the all important hip, low back pain recurrence, and yoga’s influence on relieving pelvic pain. Lower extremity injuries are a very common reason that patients seek care for at Alpine Physical Therapy. From an acute injury to chronic overuse, oftentimes the culprit is a weak hip. The hip is a ball and socket joint surrounded by large muscle groups that provide both stability and power with lower extremity movement. 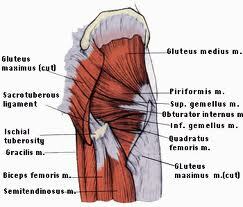 Weakness present in these muscles leads to a mechanical (movement) fault that collapses the lower leg. This collapsing results in the hip/pelvis dropping, a medial translation force on the knee and a flattening of the foot. Common injuries associated with this weakness are hip bursitis, IT band syndrome, meniscus/ligament strain and tendinitis/plantar fasciitis. Research has shown that physical therapy exercise is effective into controlling the forces that increase injury risk. In the study Snyder et al. Resistance Training is accompanied by increases in hip strength and changes in lower extremity biomechanics during running. Clinical Biomechanics (Bristol, Avon). 24:26-34 2009 researchers mapped the 3D kinematic and kinetic gait analysis of runners before and after a 6 week hip strengthening protocol with results showing improved proximal hip strength leading to decreased rearfoot eversion (pronation) while lessening lower leg internal rotation when tested after the strengthening program. The take home implication is that strengthening the hip musculature has a positive effect at the knee and ankle joint. By controlling medial forces strengthening lessens injury risk and improves healing time. Give us a call today to talk about safely getting back to exercise after injury. We’ll make sure you’ve got “Hips 101” as part of your Alpine Experience. Hi Elite ,If you feel a pain in a back bone due to the stretch of tissues near a spinal cord then you must go to the clinic of physiotherapist for a starting of proper treatment due to the resolving of this kind of health issue and also understand all the import guidelines of a doctor with the steps of exercise which is helpful for you to eliminate your backbone bone rapidly with in a short interval of time ,So you must take care of your self and apply all these guideline of doctor in the routine of daily life otherwise your pain will be increase day by day and this is very dangerous of your health . The hip is one body part that most patients seem to have very little understanding of. Prior to getting my associates in physical therapy assisting and earning some experience in the field I honestly didn’t know much about the hip either. But wow, what an important body part! Great article, thanks for sharing. I had no idea how important the hip is to functionality. This is a big deal when you are trying to make sure that you are keeping your body in good condition. My uncle might like knowing that injury might be from a weak hip as he looks into physical therapy. I honestly think that I should go with some kind of physical therapy. Now as you said here, it is a good way to control the forces that increase injury risk. To me, that is quite important as I wouldn’t want to get hurt while doing something normal.